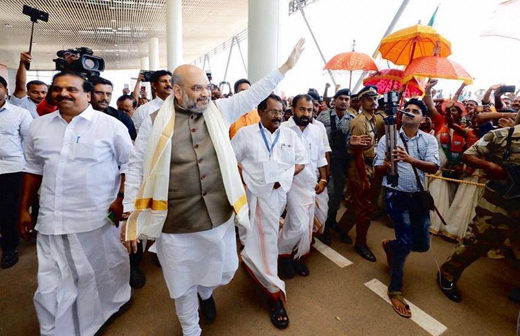 Kerala, Oct 27, 2018: Condemning the arrest of devotees protesting against the Kerala government’s decision to implement the Supreme Court’s verdict on Sabarimala, BJP Chief Amit Shah Saturday said the party was “standing like a rock” with the worshippers. “Today in Kerala a struggle is going on between religious beliefs and state government’s cruelty. More than 2,000 activists and workers from BJP, RSS and other organisations have been arrested. 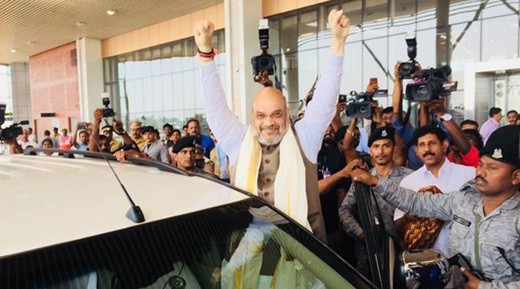 BJP is standing like a rock with devotees, Left government be warned,” Shah said. 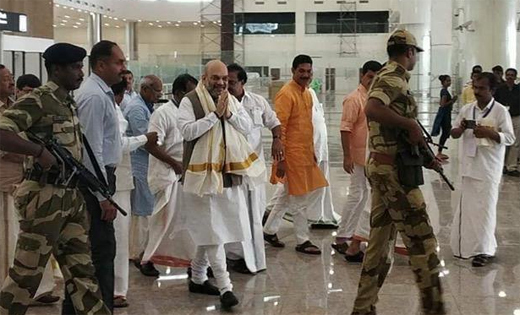 Shah arrived at the Kannur international airport in Mattanur on Saturday morning, becoming the first passenger to land at the airport, even before its inauguration. The date of the airport’s commercial opening has not been decided yet but it is set to be inaugurated in December after Kannur International Airport Limited (KIAL) gets the aerodrome license from the Director General of Civil Aviation (DGCA). The airport will be a big boost for the people of Kannur, who have had to depend on either the Karippur airport in Kozhikode district or the Mangalore airport in neighbouring Karnataka till now. The airport has been built on a public-private-partnership (PPP) model at Mattanur, 30 km from Kannur town. It will be the fourth international airport in the state — the others are at Kozhikode, Kochi and Thiruvananthapuram. 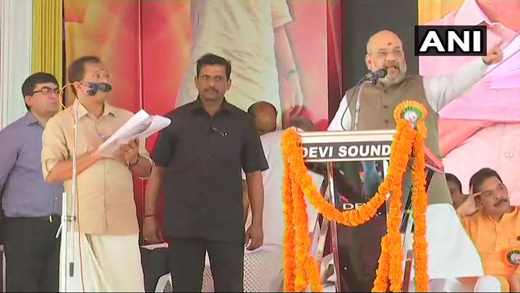 BJP President Amit Shah is also scheduled to unveil Balidan Smriti at Mararji Bhavan in Kannur, Kerala and later attend Mahasamadhi Navathi Mahamandala Pooja Sammelan at Sivagiri in Thiruvananthapuram.